All these policies—whether they be in English, Spanish or Portuguese—will be written in the language of insurance, with terms and provisions that are specific to the insurance industry. Added to this is the specialized language of the industry or type of coverage for which the policies are issued, as well as an appreciation of the political, environmental and social conditions of the country in which coverage is sought. To properly understand and evaluate insurance programs or claims for companies with operations or ties to Latin America, it is imperative that policies be reviewed by coverage counsel with expertise in each of these country-specific factors and fluency in each of the policy languages when used in tandem with one another. An understanding of the insurance law and regulations specific to the Latin American country where a policyholder’s property or operations are located is also key. These laws and regulations may dramatically change the coverage provided and even void policies. For instance, policies have been voided in Argentina when issued by a non-authorized foreign insurer, and, in Mexico, a regulator has indicated that purchasing foreign insurance not only violated Mexican insurance law but may even be a criminal offense. Tax laws as well as other contractual aspects of the policies may also be implicated by local law and regulation. Moreover, the challenges and potential risks presented by operating in Latin America make it essential that companies conducting business in the region ensure they have sufficient insurance coverage. 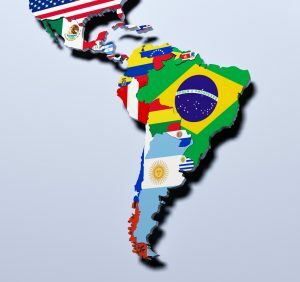 To address these concerns, companies conducting business in Latin America may need to take out policies local to their countries of operation. Many global insurance providers now offer Controlled Master Programs. CMPs provide a U.S. or London-based master policy with local policies that address the other country’s specific laws and regulations. An understanding of whether local policies are necessary and how such local policies would interact with global U.S.- or London-based policies is imperative to ensure sufficient coverage. Property Insurance. In recent years, Latin America has been struck by a series of natural catastrophes. In late 2017, Hurricanes Maria and Irma caused devastation across the Caribbean Islands. In September that year, a 7.2 magnitude earthquake in Mexico caused the collapse of hundreds of buildings in and around Mexico City. Heavy flooding and landslides have wreaked havoc and destroyed buildings and property across South America. The damage caused by these natural disasters is particularly devastating in Latin America, as it tends to strike in areas that are heavily populated and developed. It is imperative that property policies provide coverage with an eye to the particular types of natural calamity that may occur in affected parts of Latin America. The policies should also provide sufficient business interruption coverage for income lost while companies are unable to operate their businesses in the wake of those disasters. Commercial General Liability (CGL) Insurance. CGL coverage is key to any insurance program, and particularly for construction and mining companies in Latin America, where construction, infrastructure and mining industries continue to expand. The region has already seen several high-profile structural failures, including collapsed buildings, mines and dams, all of which have resulted in fatalities and substantial property damage to third parties. Companies involved in similar projects in Latin America should have CGL coverage in place as protection against such casualties. Cyber Insurance. The threat of cyberattacks against companies based in or operating in Latin America has grown exponentially. Over half of the companies in Latin America and the Caribbean region have been attacked in recent years. In Mexico, 92% of companies have been the victims of cyberattacks, mainly resulting in data theft or data elimination. Attacks across Latin America pose threats to personal data, banking operations, and critical infrastructure programs. It is no longer a matter of if a company operating in Latin America will suffer a cyberattack, but when. Consequently, cyber insurance is a key component of insurance programs for companies operating in Latin America. Political Risk Insurance. The rapidly changing political scene across Latin America presents new challenges and potential risks for companies operating there. Recent political clashes in Nicaragua and Honduras have resulted in violence between protesters and government actors. The situation in Venezuela has caused instability throughout the region. Mexico’s new president campaigned on promises to nationalize the country’s oil industry, following in the footsteps of the nationalization of private industries in Venezuela, Ecuador, Bolivia and Argentina. Political risk insurance may afford protection against some of these risks. Typical coverages include (i) government expropriations, such as the nationalization of industry; (ii) damage or loss of income caused by political violence by government forces or non-government actors; (iii) contract frustration due to political events; and (iv) losses incurred when governments declare local currency incontrovertible so that it may not be exchanged for any other currency. An understanding of the ever-changing political landscape in Latin American countries, both in the short and long term, is essential to determining the specific needs for political risk coverage. Careful and specialized consideration of these coverage issues is crucial to ensure that companies operating in Latin America are sufficiently insured to protect against the potential risks in conducting business in the region. Coverage counsel with experience in Latin American policies and claims can help risk management navigate the complexities and circumstances encountered in operating in Latin America.